Enter your Year, Make, Model and Trimline. Provide the mileage, vehicle condition and any additional options your car is equipped with. Determine your target price for trading-in your car or selling it yourself. Clean the exterior using car-specific soap. Convey that the car has been pampered, not hastily restored for sale. If there’s no paint damage, consider a paintless dent repair service. If your car insurance includes glass coverage, windshield replacement should be free, minus deductible. Vacuum, clean fabrics and mats, and dust all surfaces. Details make the difference. A clean engine bay gives the impression that the mechanicals have been well-maintained. Fix or replace broken items as needed. Black Book, a leading provider of marketplace insight since 1955, is best known in the automotive industry for providing timely, independent, and accurate vehicle pricing information. What Is the Trade-In Value? Trade-In Value is the price a dealer would offer for a consumer’s vehicle to apply toward the purchase of another car in the dealer's inventory. The trade-in value is more closely aligned with the auction wholesale value, meaning what the car would sell for at an auction to interested retailers. However, the dealer may offer more if the vehicle is a desirable inventory item. In this case, a dealer may make allowances in consideration of auction and transportation fees that would have been paid if the car were bought at an auction. What Is the Private Party Value? Private Party Value is the price you could expect for a vehicle sales transaction between two consumers. Depending on demand and condition, this transaction price will be between the wholesale value and the retail value. Private party transactions are typically less than dealer sales because they do not provide the buyer any financing options, warranty, nor any recourse should there be any problems with the vehicle. All sales are considered final and as-is. How Are the Trade-In and Private Party Values Calculated? Black Book acquires its pricing data from wholesale auctions and retail transactions nationwide. Pricing is updated on a weekly basis. High mileage, vehicle damage, and the cost to recondition the car for resale all have an impact on the overall value of your car. Why Aren't All Optional Equipment and Packages Listed as Additions? Used-car shoppers tend to focus on their basic transportation needs and finding a budget-priced car. Because these shoppers aren't willing to pay extra for many upgrades, oftentimes optional equipment and packages added to a new car have little or no resale value when the car is traded in or sold privately. Why Does the Dealer's Estimate of My Car's Value Differ From the Value I Calculated Here? 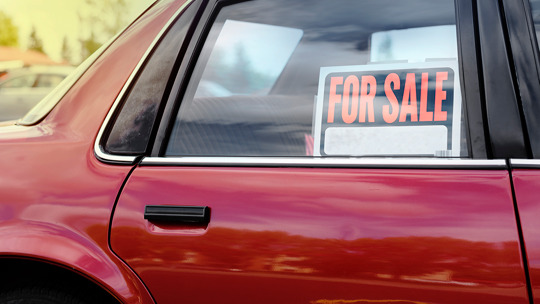 There's no such thing as exact pricing when it comes to a used car trade-in value. The exact appraisal amount will change based on local market conditions, the dealer's inventory, and their ability to resell the car. To understand the value of your car, take it to multiple used car lots to see what they will give you for it. This will help you understand the high- and low-end values for your car. Copyright © 2019 Hearst Business Media Corp. ALL RIGHTS RESERVED. Black Book ® is a registered trademark of Hearst Business Media Corporation.